Trading season is just about a month away, with the MLB non-waiver trade deadline coming on July 31. We’ve already covered the best relievers who might be available for contenders to browse on the open market, but another big need for many teams is starting pitchers. The San Francisco Giants, Boston Red Sox, Texas Rangers, and Baltimore Orioles could all use at least one more starting pitcher to make a push for the playoffs, and there are likely more teams looking for pitching as well. 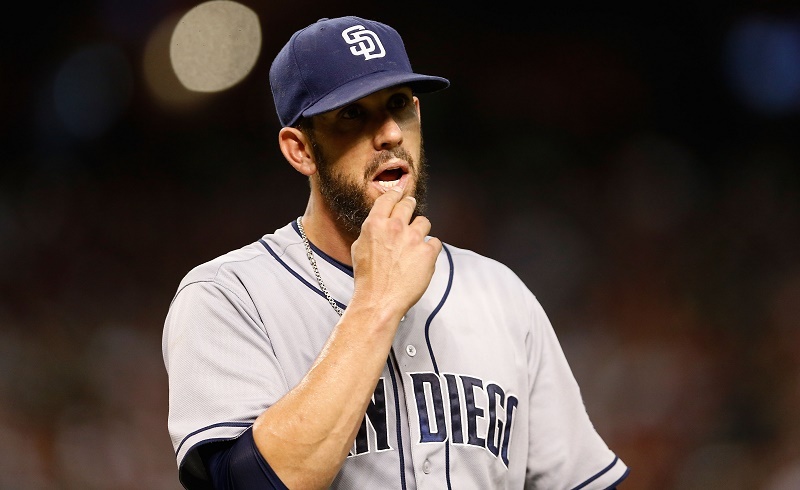 When the Padres were talking about a James Shields trade with the White Sox, they threw out a few more names. Actually, more than a few. “They’re offering everybody,” is the way one club official with a different team that’s recently dealt with the Padres put it. That may be an exaggeration, but the point is, the Padres are open for business. “I’m always going to listen on anybody. You’ve got to,’” Padres general manager A.J. Preller said. So who can we expect to be dealt? Here are our top five starting pitchers who could be available before the trade deadline. Andrew Cashner is almost always the subject of trade speculation due to his electric arm and the perpetual state of awfulness the Padres are stuck in. The 29-year-old has supplied San Diego with a 3.62 ERA and solid peripheral numbers over the last five years, and he is set to hit free agency at the end of the season. 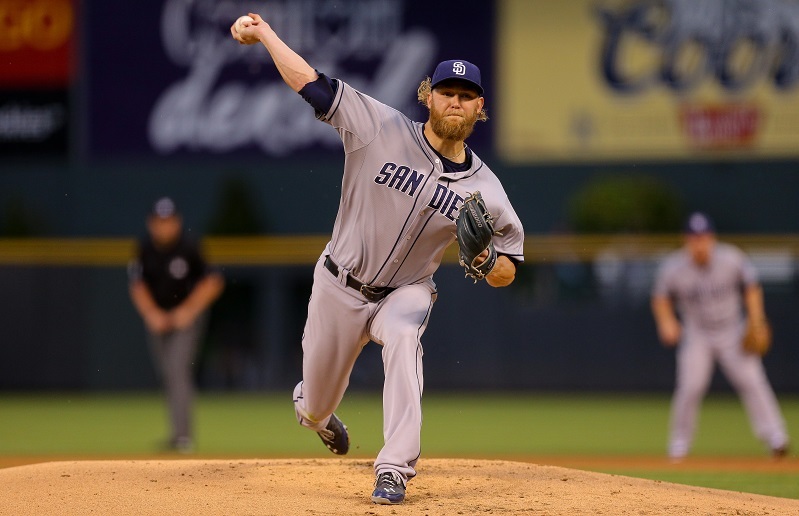 Cashner’s problem: He always struggles to stay healthy. Cashner strained his neck in a recent start, necessitating him to being placed on the disabled list. It doesn’t figure to be a long stay, but when combined with his up-and-down performance this year, his history of injuries, and the fact that he can walk away at the end of the season, you wouldn’t expect the Padres to get a whole lot for Cashner. Even still, they’re in complete sell-off mode. So if Cashner is able to pitch, expect them to move him. The Rays are in the tightly bunched AL East, so they are still within reasonable distance of the division lead and a potential wild-card berth. The problem is that there are a lot of teams in front of them, and it will difficult for them to make a run. If they decide in the next month that they’re sellers, the first name on the list should be Jake Odorizzi. Tampa Bay reportedly had discussions with a few teams regarding him last offseason — including a rumor that they wanted to swap him for Javier Baez of the Cubs — but settled on opening the season with the right-hander. 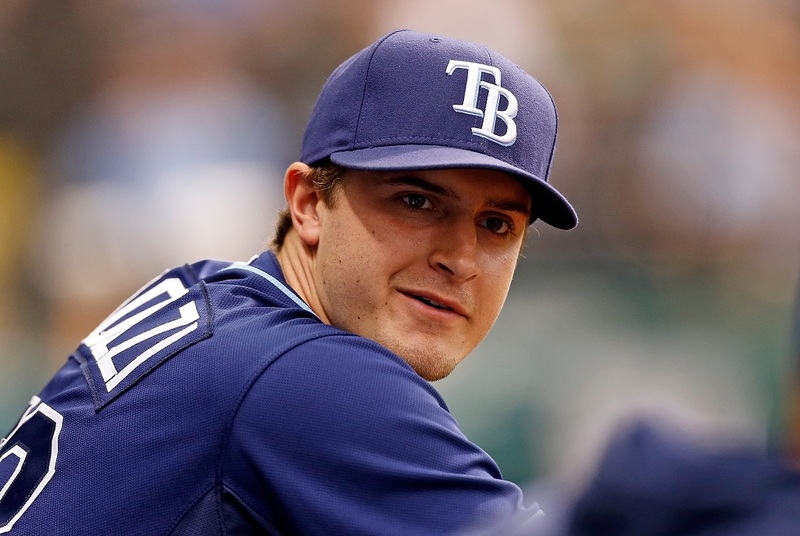 Odorizzi has performed well this year, posting a 3.79 ERA in 14 starts. He’s just 26 years old, but he’ll enter arbitration next year and the Rays have plenty of starting pitchers — including a young left-handed stud named Blake Snell, who is sliding into the rotation in the majors right now. With the Rays’ small budget and chances of making the playoffs getting slimmer, the team would be wise to deal Odorizzi for a prospect haul right now. Rich Hill is an interesting story. A left-hander with a big, breaking curveball and a decent fastball, he set records in the minor leagues for strikeouts. He also struggled with walking people, but he seemed to have everything figured out in 2007, when he was 11-8 with a 3.92 ERA in 195 innings for the Chicago Cubs. But Hill lost control and only made 18 starts with a 6.87 ERA and 6.8 BB/9 over the next two seasons. From there, he bounced between the minors and the major leagues, only appearing in relief roles with several different teams — tossing 75 2/3 innings over five seasons. But last year, at 35 years old, the tall lefty put it together again. Hill made four starts with the Boston Red Sox late in the season, striking out 11.2 batters per nine innings with just 1.6 BB/9 and a 1.55 ERA. He signed with the Oakland A’s in the offseason on a one-year deal and started 11 games with a 2.25 ERA and good peripheral numbers. The A’s may not get a ton in return for a 36-year-old on a one-year deal, but they would be fools not to move him. The Braves are in the midst of a massive rebuild, and probably won’t contend for a playoff spot until 2018 at the earliest. Julio Teherán, their young, 25-year-old ace pitcher who’s signed through 2020, could become available for the right price. Of course, that price would probably be expensive. 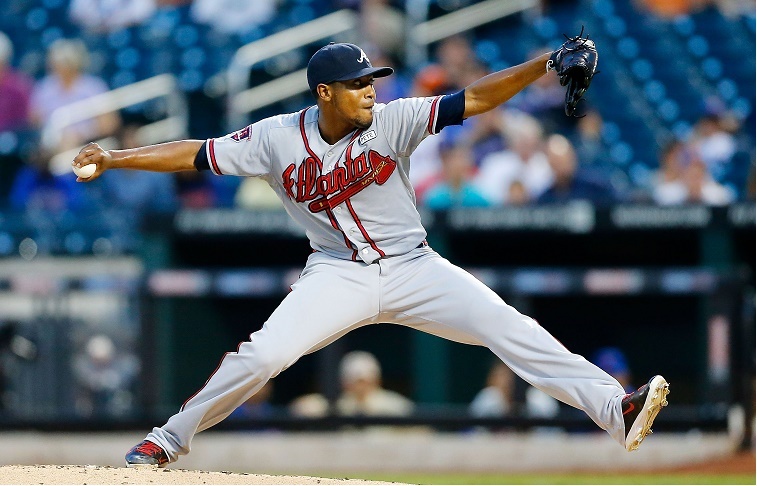 Despite a down year last season, Teherán has a solid 3.31 ERA over the last four years with the Braves. Atlanta has all the leverage here. With Teherán locked in long term, they could decide to wait until the offseason if they can’t get a package of prospects they like in return. Failing that, they could try again next year at the trade deadline. Suffice to say, there’s a good chance Teherán will remain in Atlanta. But that doesn’t mean he won’t be available. Another name who may remain in his current location is Sonny Gray. 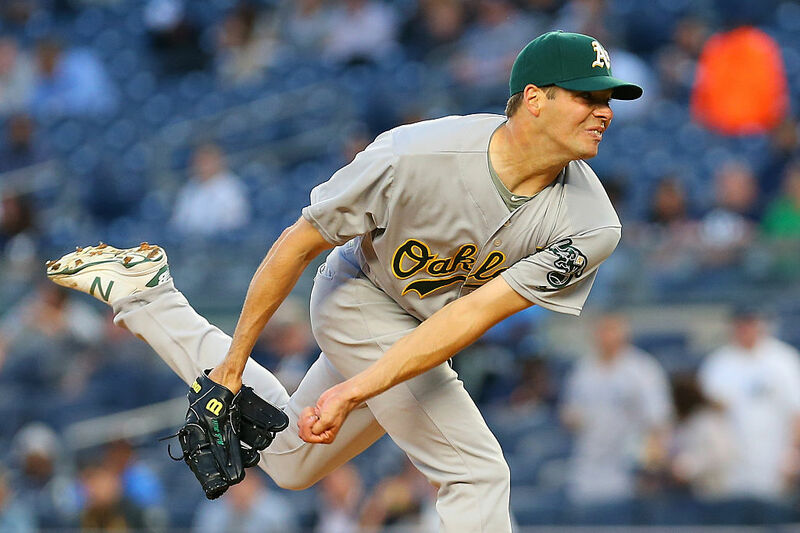 The A’s young ace is in a similar position to Odorizzi; he doesn’t make a ton of money, but he will soon enough. He also pitches in a small market that struggles with their ability to pay their best players, and seems destined to go elsewhere. Gray is also eligible for arbitration next year, which means the A’s will have to either budget a huge raise for him or deal him now. The problem is that Gray is having a down season. He has a 5.54 ERA in 12 starts with a 3.6 BB/9, which is much higher than he posted earlier in his career. 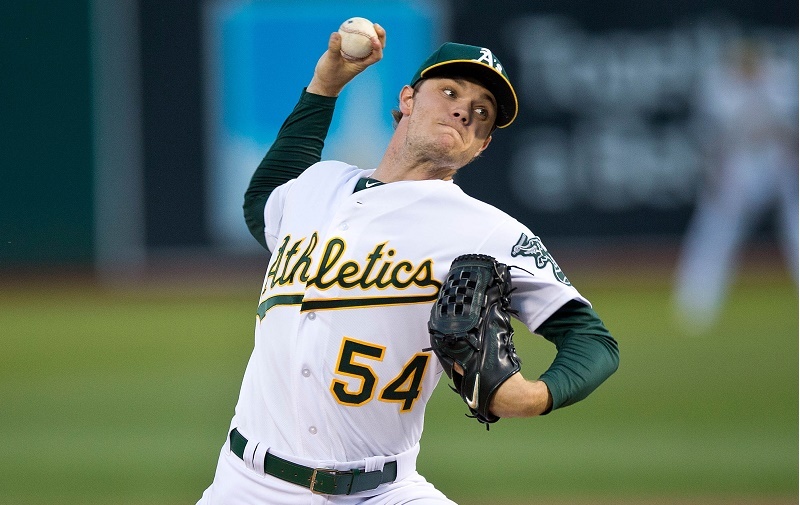 At just 26 years old, there is still a lot to like about this player, and a team that needs pitching — both in the short- and long-term — would do well to call up Billy Beane in Oakland. That all said, the A’s could wait until the offseason to deal him, too. So like Teherán, it’s no sure bet that Gray will go anywhere right now.